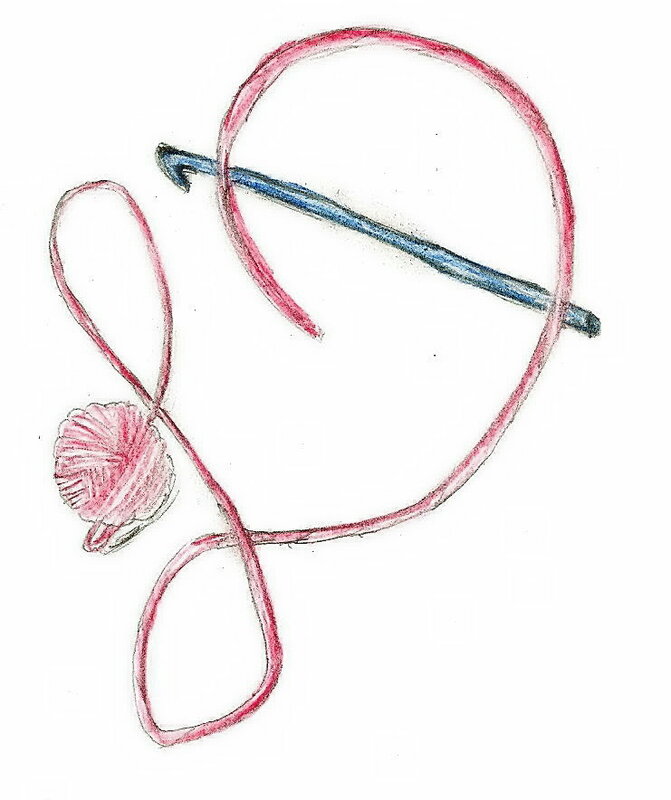 Sometimes you need to have a couple of yarn tricks to ensure that your project turns out the best it possibly can. 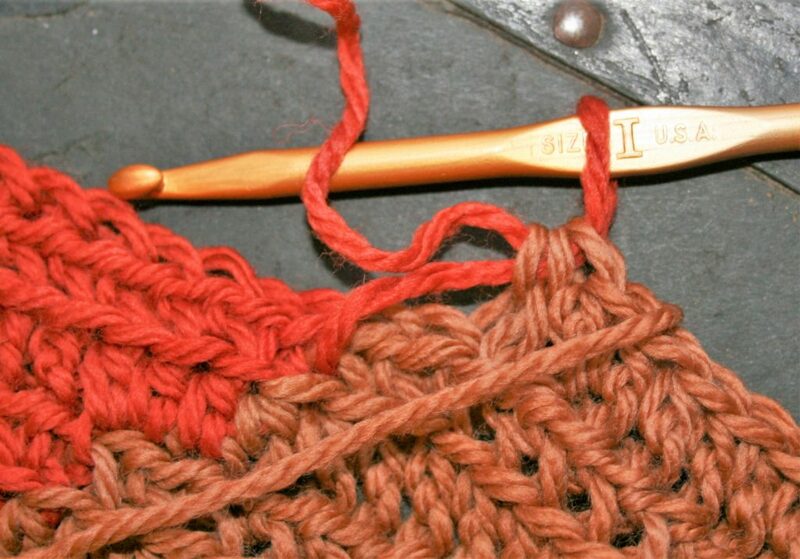 One of these tips or tricks is understanding dye lots. 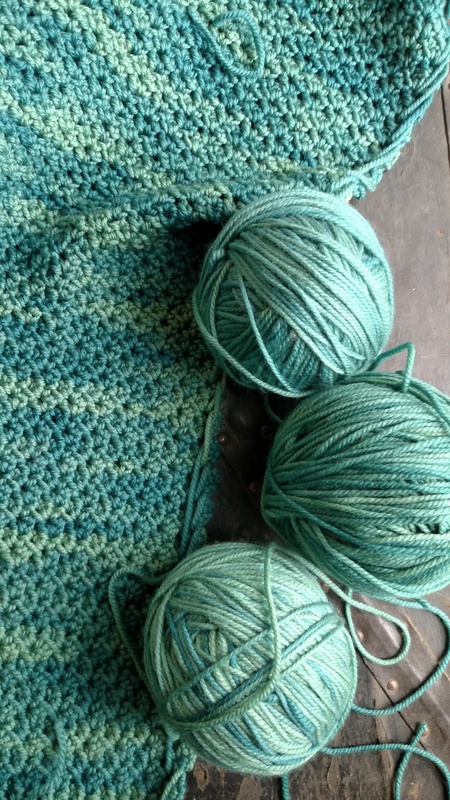 These 3 balls are the same color, but the dye lot has some slight shifts, so this fabric uses a different ball every 2 rows. 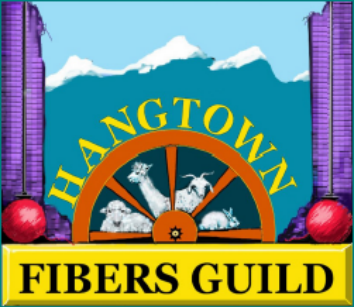 Dye lots are the critical factor for several, but not all yarns, and essentially it is telling you a specific time period that a yarn was created. 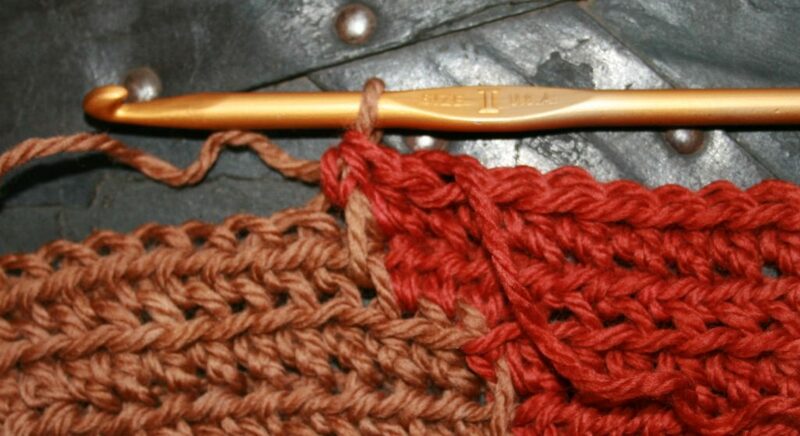 This can be important to ensure that the colors from one skein matches that of another. 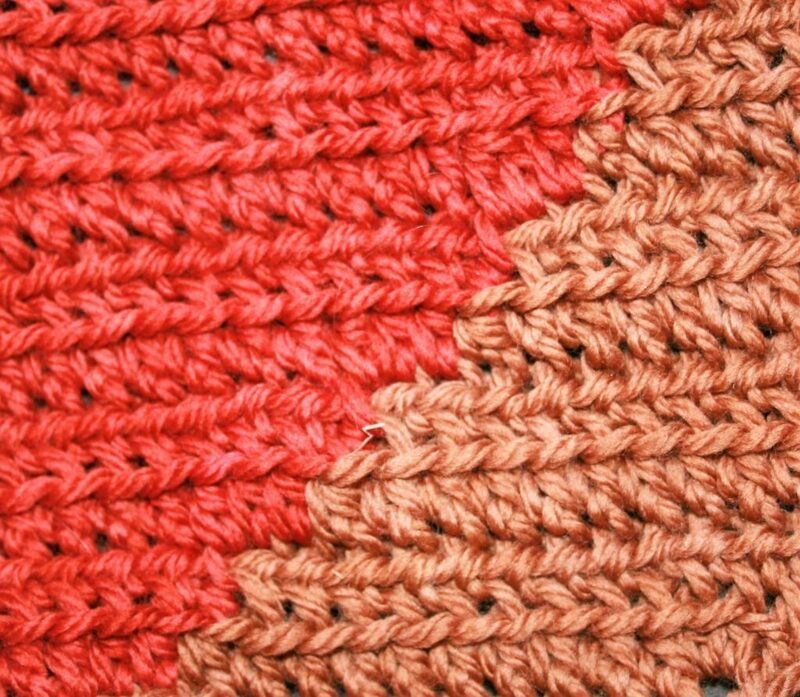 If you want to ensure that your project has the same consistent color then you have to ensure the dye lots of the yarns match. Well, that is the given rule, but I have found that not even this is consistent. 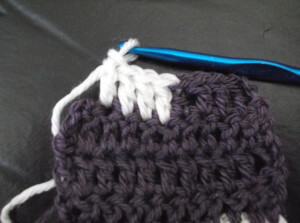 So then what do you do if the color between the yarn skeins happen to be just a couple of shades off? I have had this happen, even within the same dye lots. 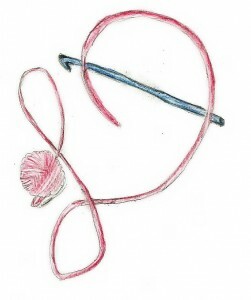 It is uncommon in most commercial yarns, but it can become apparent in hand dyed or hand painted yarns, and how to fix it is to trick the eye. The best practice is to work a couple of rows from one skein, and then a couple of rows from another and switch between at least 2 different skeins; sometimes I might even switch every couple of rows between 3 skeins. 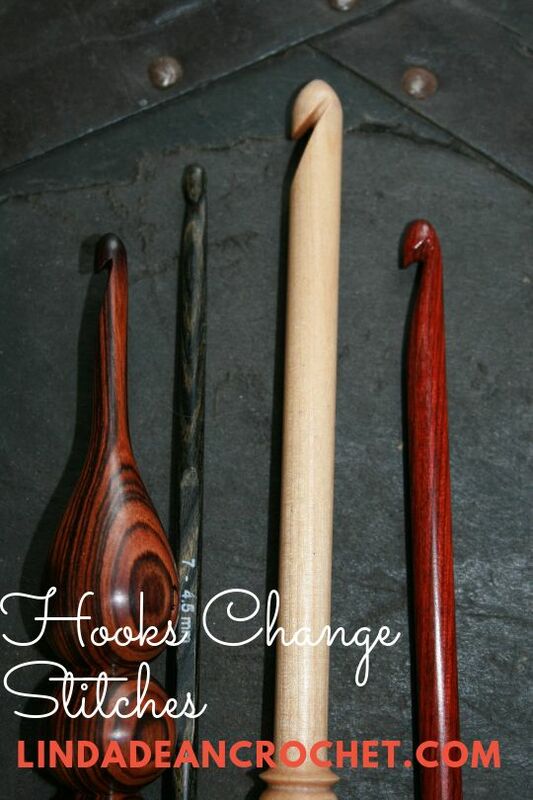 By making these changes in a consistent manner it creates an optical illusion to the eye and the subtle color differences will blend together when you look at it. 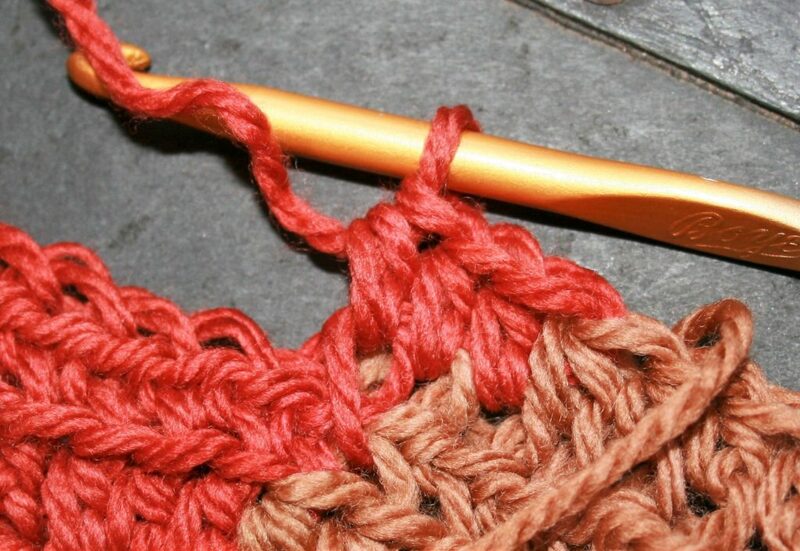 This is much more beneficial than having a visually obvious line of exactly where your yarn changed in your project. 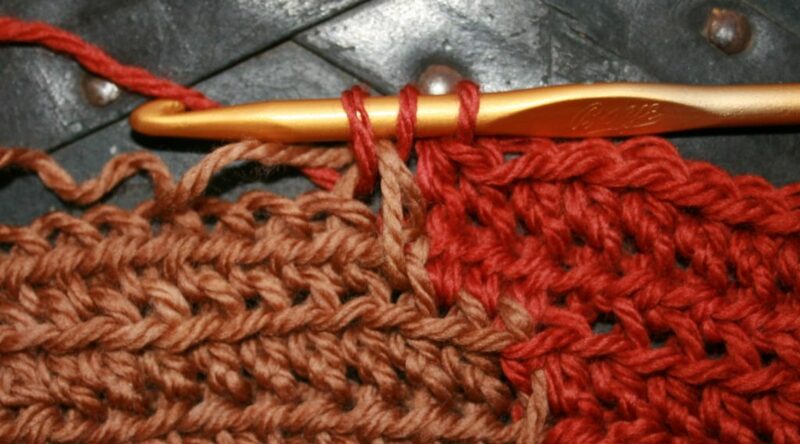 I would suggest that even if you suspect that there is a difference in the color shades that you use this alternating skeins in rows technique simply for the fact that when you are so close to your work the subtle details are not visible. When you step away and look at your work from afar and can see a visual line in your work, it feels like a punch in the gut, and unintended mistake. Some people find a way to live with it, others rip it all back. So, I error on the side of caution. 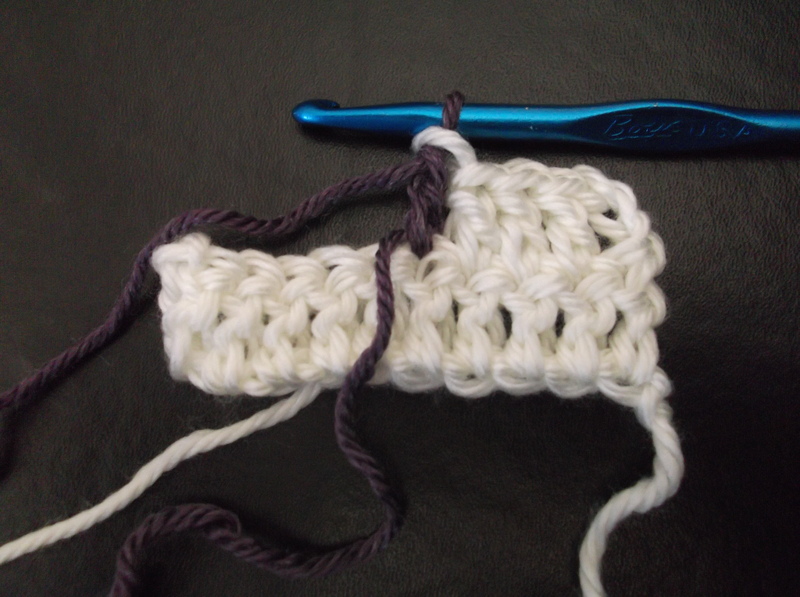 Yes, this will lead to more ends being woven in (I have some tips here). No one is really ever thrilled about that, however if I am going to spend the time to use a beautiful and unique yarn, I might was well take a couple of extra steps to ensure that my final project is the best that it can be. I had a surprise in the latest special issue of Crochet! 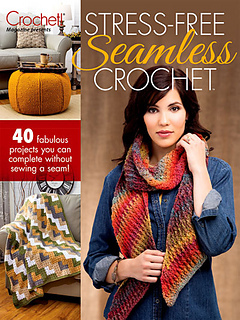 Magazine,(Stress Free Seamless Crochet, Fall 2016), I had another design on the cover! 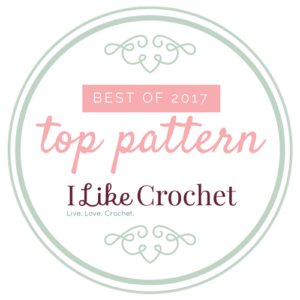 What was really surprising is that I was not even expecting this design to be in this issue. 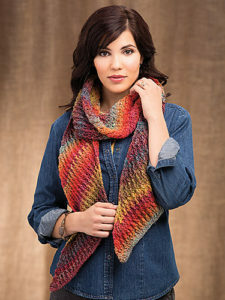 The Autumn Blaze Scarf that adorns the cover is really an interesting pattern that creates a great texture while creating a fabric that is on the biased, meaning that it has increases and decreases worked every row to give it a much angled direction. 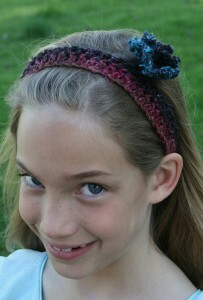 This really allows yarn that has some length to the color repeats to shine. 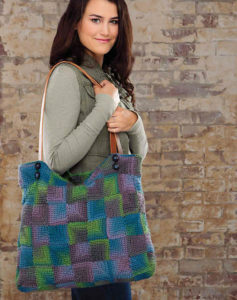 The second design I have in this issue also benefits from long color repeat yarn, the Dharma Tote uses crochet miter squares to bring color to life in angles. 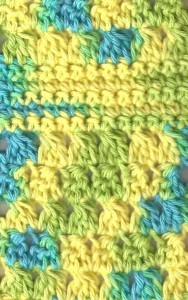 Miter squares are worked from two edges worked, a corner, and worked toward the opposite corner. There is essentially a decrease worked in the center of the worked row, and my continuing the row with a decrease every row, it reduces to a point. 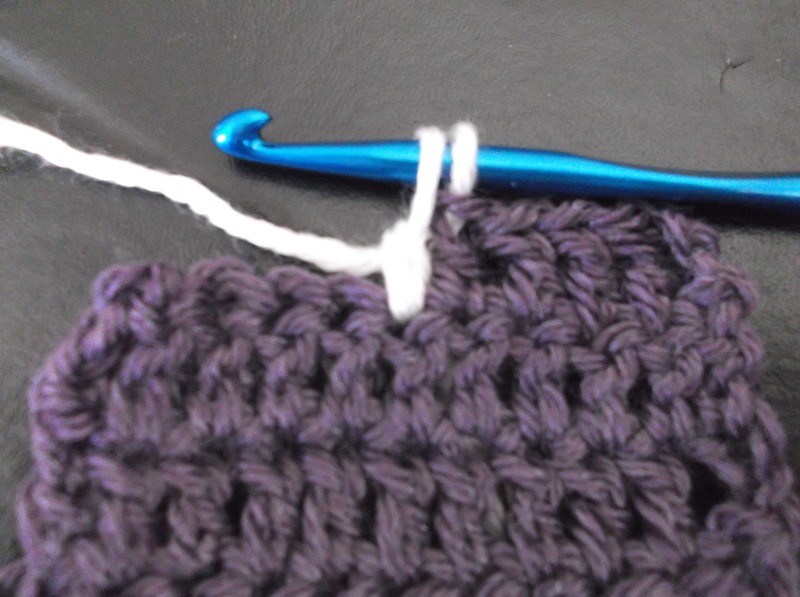 One of the really nice features about miter squares is that you can easily work it as join as you go, by beginning an edge directly on a created square. 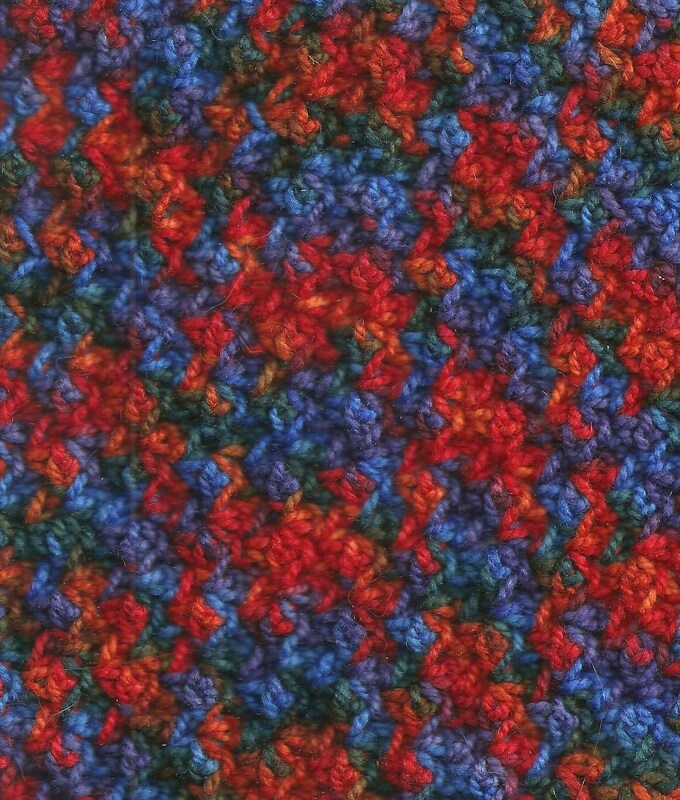 I played around a bit with the square locations, as I really didn’t want everything facing the same direction, yet I didn’t want to create a square that would be difficult to create with too many joins. I added some leather strap handles, and this bag was ready to go. 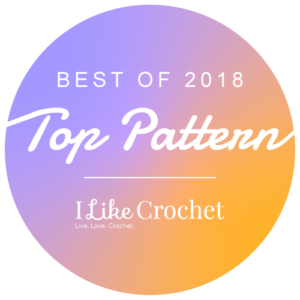 I love the stretch that it has, I can stuff it full of crochet samples for my classes, or items that my kids need for “insert name of event here”. 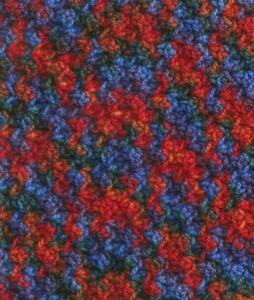 Both of the designs benefit from long color repeat yarns, there is a couple of reasons for this. 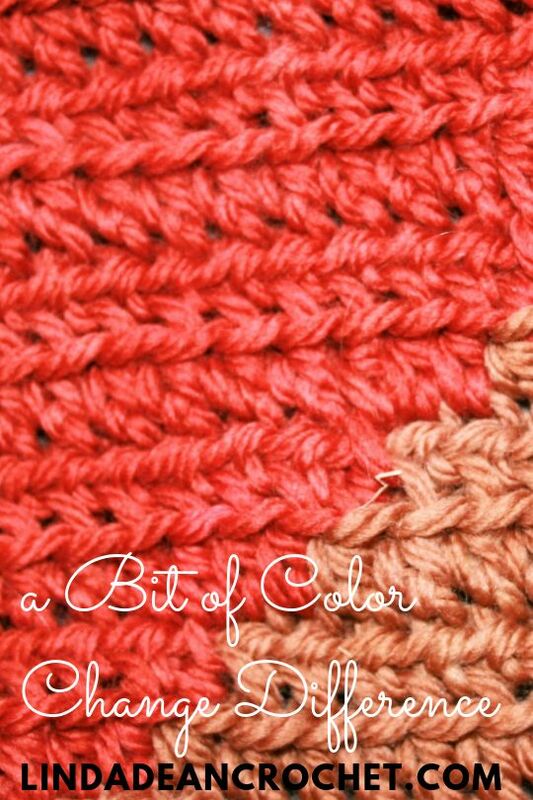 First you do not have to think about color combinations. 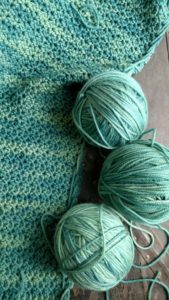 The yarns already have some harmony in the palette of color, thus making sure that your finished product will be pleasing to the eye. 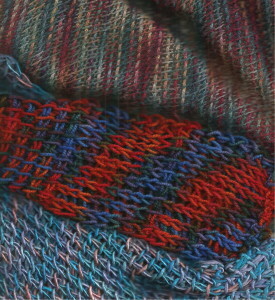 Second, the long spans of color allow for the design to be highlighted. 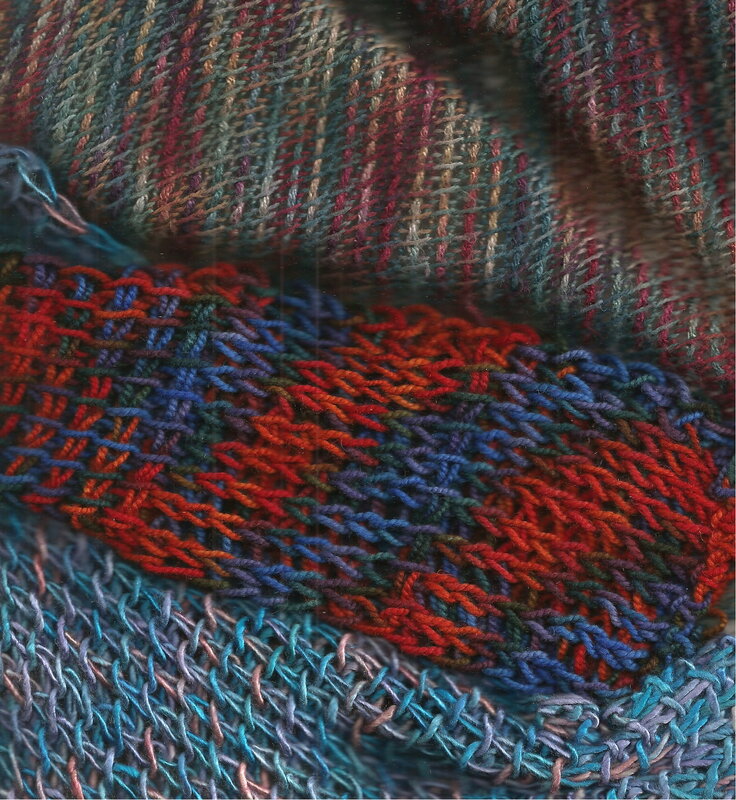 Whenever color changes are short, a little of every color works into almost any stitch, and things looked speckled. 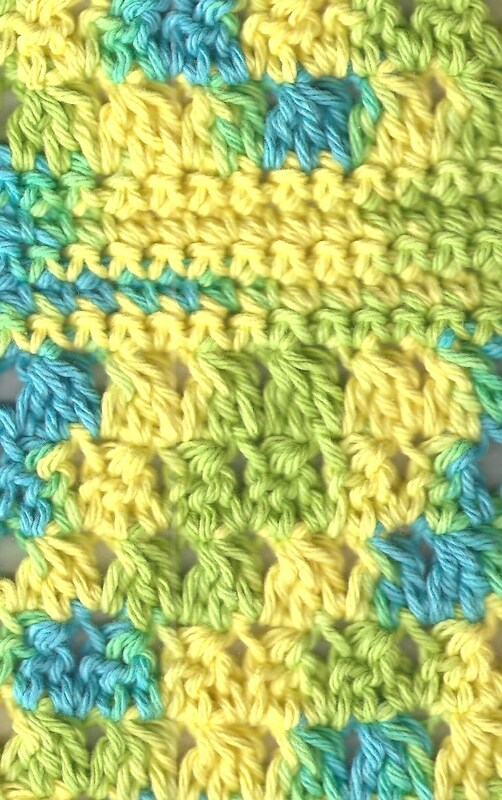 When to color change is long, you can create a shape in the color, as with Dharma Tote, you can see the directions for the squares. Neither of these designs would shine if they were speckled or in solid colors.